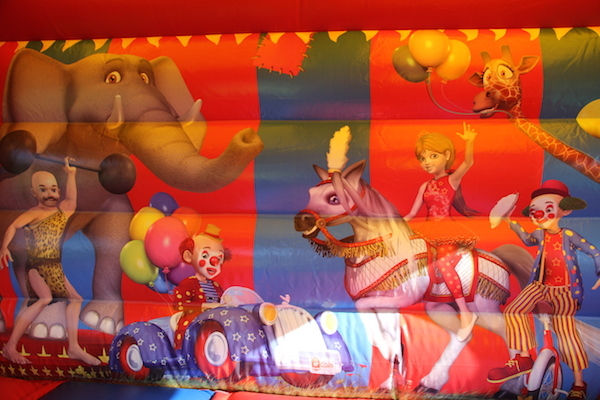 Come and join us on the Big Top and enjoy the excitement of the Circus with this fabulous circus themed bouncy castle and slide. Roll up, Roll up for this beautiful centrepiece at your party! 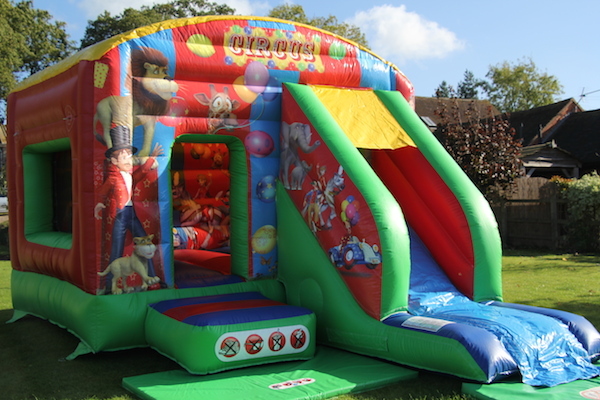 Adored by all little girls and boys alike, Circus Bounce n’ Slide is a brightly coloured and highly decorated bouncy castle and has the added excitement of a super steep slide. 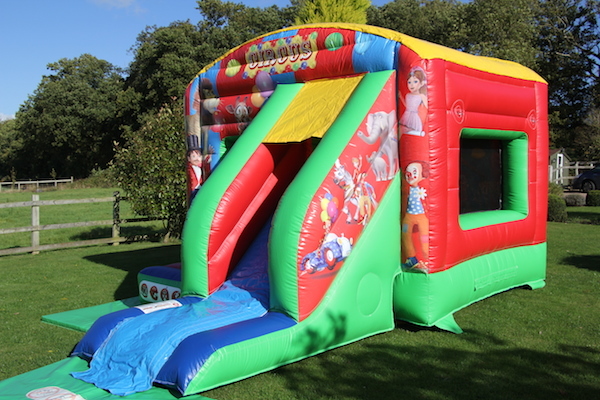 This makes it a huge hit with all little clowns and tigers and is a popular hire choice for children’s parties, fetes, fun days and corporate events. 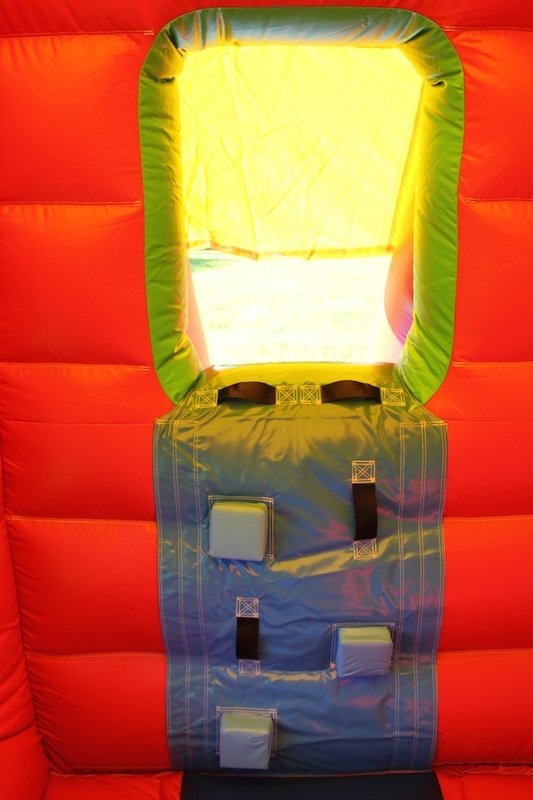 As the entrance and slide are both on the front this means this super inflatable takes up less area and is a great hire choice where space is limited. 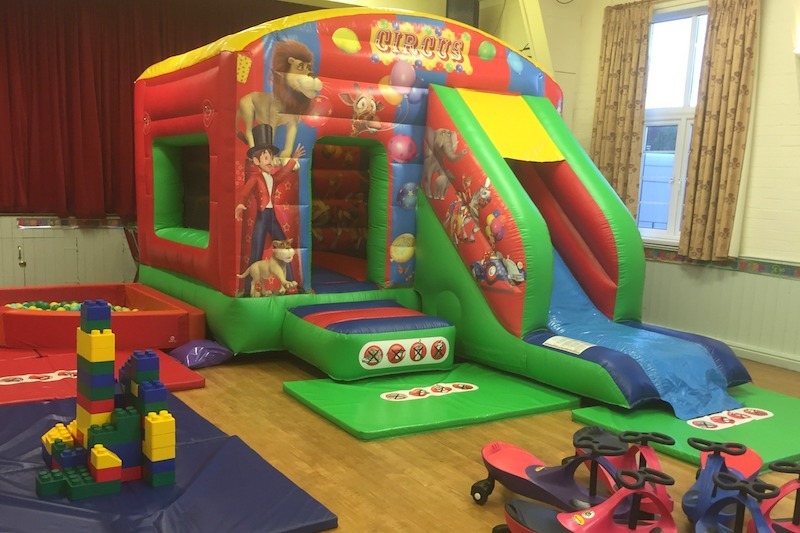 It is ideal for indoor hall bookings and don’t forget if your party is being held indoors, you will also have the free use of Plasma Cars which the children and adults will love. There are also other inflatables in a circus theme available to hire, so if you are having a circus type fun day then you can have other matching equipment as well. 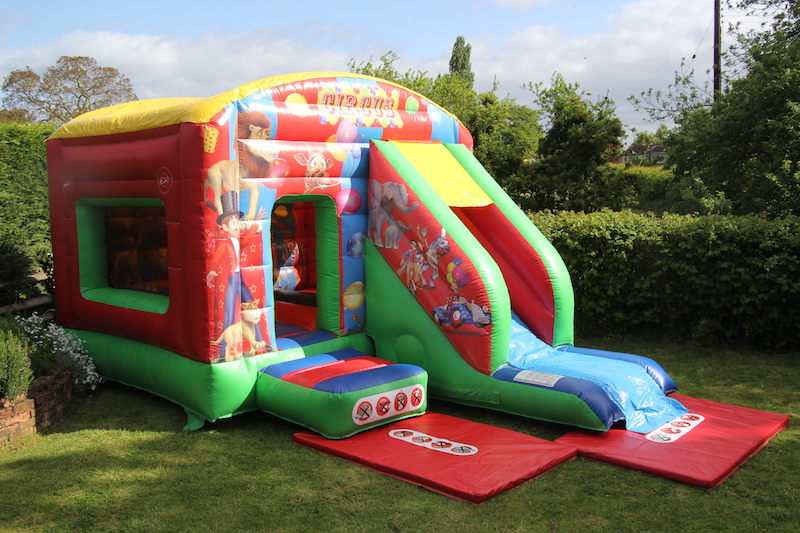 We can offer this really impressive circus bouncy castle throughout Evesham, Worcestershire, Herefordshire, Gloucestershire, Warwickshire and The Midlands. 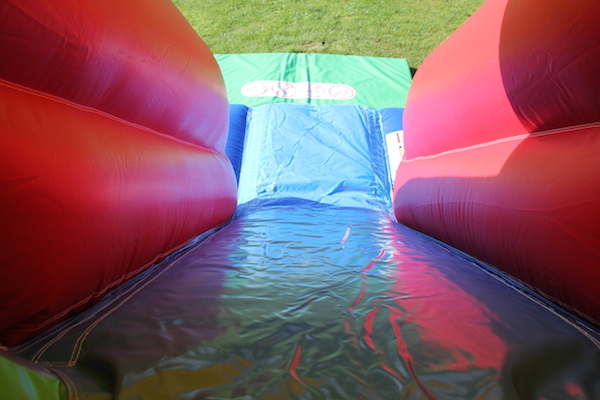 This Big Top Circus Bounce n’ Slide is available to hire for birthday parties, school fetes and family fun days.